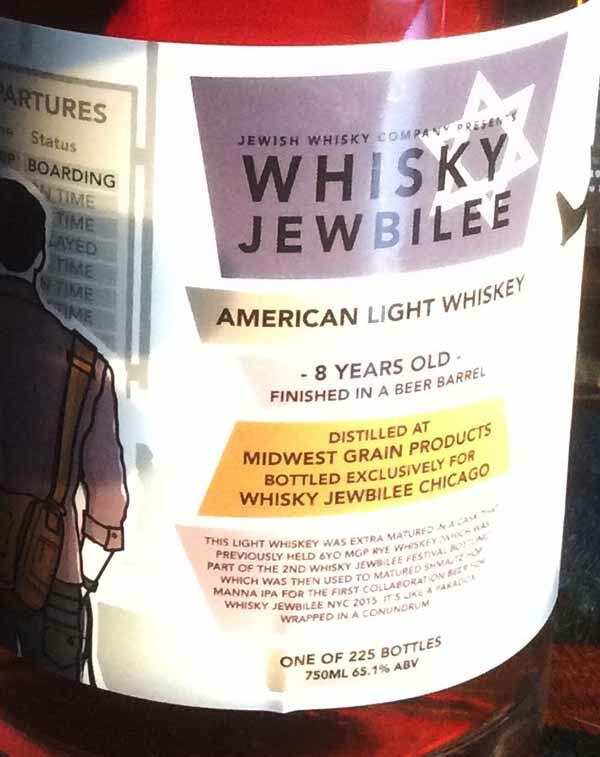 As promised last week here is my review on the very exclusive Chicago Jewbilee Festival bottling. To say that these guys think ahead would be an understatement. 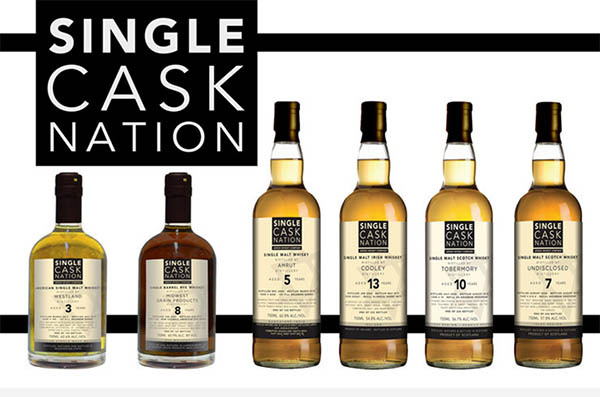 Everything from the ongoing story told by the labels to the tie-in of barrels being re-used. In this case, the whiskey was firstly aged for 8 years in new American Oak and then transferred into a barrel that was initially used to age a 6 year old Midwest Grain Products Rye (bottled for a previous Jewbilee) and then used again to age a special edition Schmaltz Hop Manna IPA which was bottled in celebration of the New York Jewbilee festival earlier this year. The amount of time in the beer soaked Rye barrel is not disclosed so lets get into some numbers that we do know. 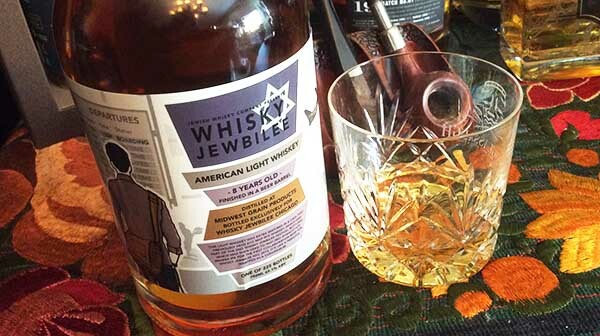 Whisky Jewbilee American Light Whiskey – 8 Years Old Finished in a beer barrel. 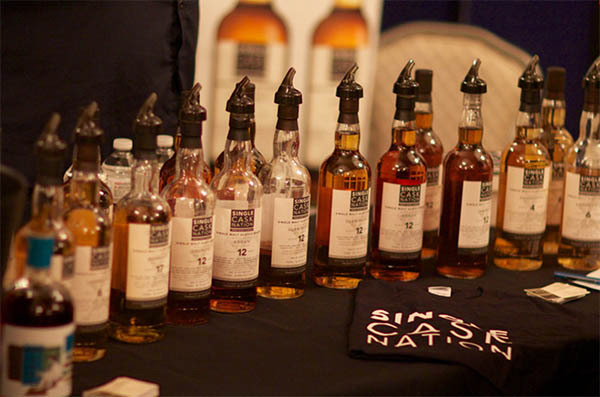 Bottled at Cask Strength 65.1% and only 255 bottles produced tasted in a crystal rock glass (Glenglassaugh). Colour: Has that nice classic IPA Amber look to it but with a touch of reddish tinge that I can’t figure out. Could be the back of the label reflecting the light as the red does not really transfer to the glass. Nose: Good thing I am sitting down as my knees were feeling a little weak upon smelling this unique and ridiculously interesting nose. Like smelling a freshly baked Hungarian Chimney cake (yes I have had this experience and in Budapest, albeit almost 30 years ago, amazing how smell and memory are so strongly linked) with sweet orange popsicle topping. There is something so unique about this……. Perhaps it is just knowing that this spent time in a beer barrel but as I slowly inch my nose closer I find myself searching for beery elements and thinking that the extra sweet nature of this nose could be partly related to the previous inhabitant. IPA’s are normally quite citrus dominated and even though I never got to try the Jewish Whisky Company Beer I bet is was a big Citrusy, Hoppy IPA that I would have loved. This is also the first whiskey ever, that I have heard of being aged in a barrel used to age beer. It’s messing with my nose and head in the most fabulous way possible. 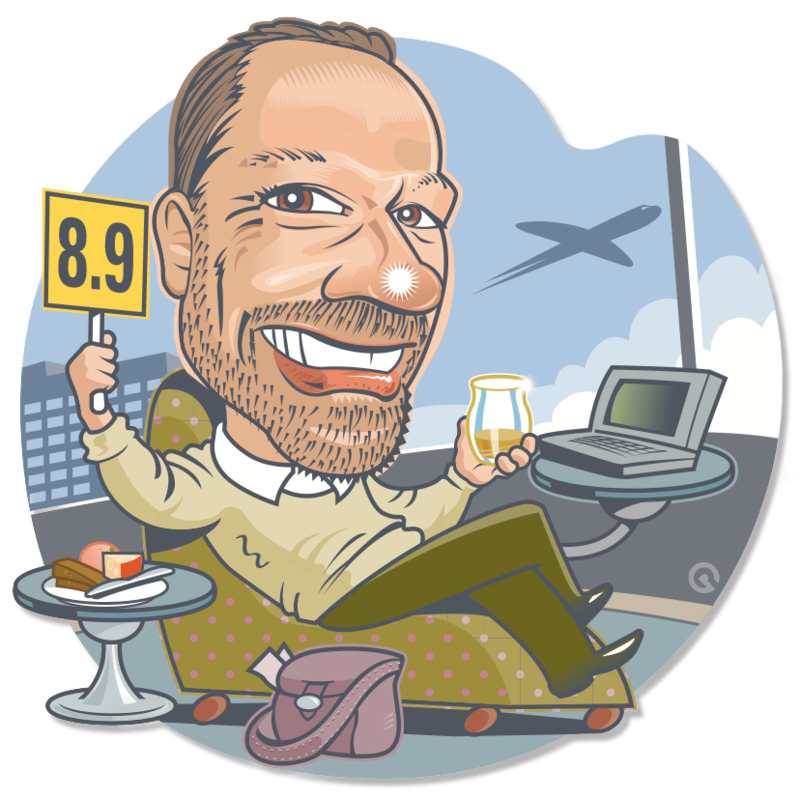 Palate: The 65.1 percent does make itself known so a wee sip is a good start. Real fruit Orange and Tangerine pastilles. I used to sometimes get some super soft high end pastilles in Australia that came in a really nice box and far surpassed the quality of the everyday brands. This takes me right back with a dusting of fine sugar. As it develops the tiniest hint of Rye spice comes through and a touch of vanilla essence. When I close my eyes and really concentrate on letting the flavor roll I can get a nice soft hop influence in amongst the citrus. Finish: Tingly 65% goodness that makes itself felt all the way down and keeps the gums and tongue dancing. Citrus is certainly the dominant characteristic of this whiskey and the finish is no exception and that lovely sweetness just keeps on coming. Orange Sherbet stands out especially with that zingy tingle going on. What a whiskey. 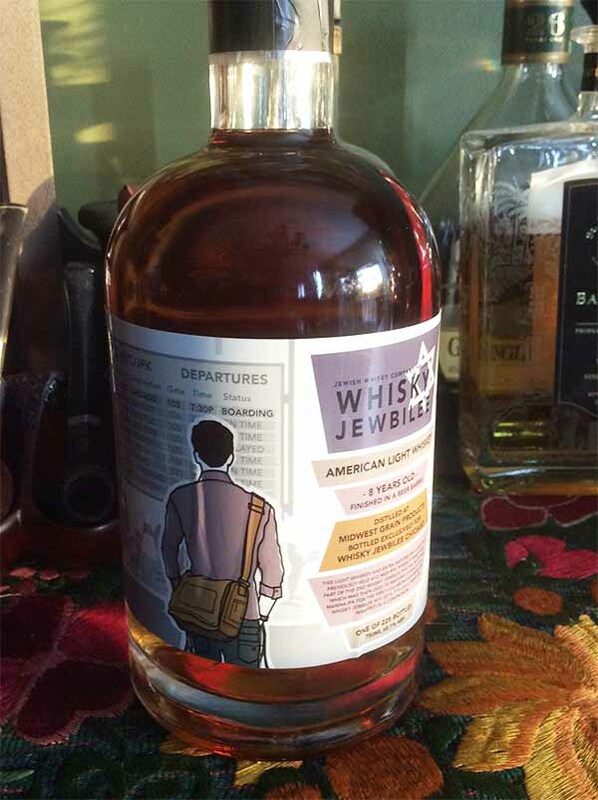 I have never had a whiskey like this….ever. Great job on this Jewbilee special. I’m sure that in years to come this will be just as rare and sought after as the other editions. My humble opinion, maybe more so as this is one unique dram. Rush out and join the Nation and see if you can get hold of this bottle somehow. My passion for how amazing whisk(e)y is and how diverse it can be just gets underlined when trying funky bottlings like this one. Next week I will be going even more obscure with a whisky that is another first and will fall into the weird and wonderful category. Until then feed your thirst with awesome whiskey!